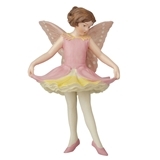 This sweet ornament is based on Cicely Mary Barker’s Flower Fairies books. Flower Fairies live in forests, gardens and wherever a seed sprouts, which means a Flower Fairy baby is born. 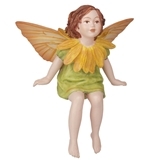 Flower Fairies live and sleep in their chosen flower, plant or tree; keeping it strong and healthy by nurturing it with plenty of sunshine and water, polishing flower stems and sweeping away dead leaves. 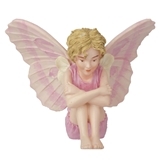 A perfect occupant for a Fairy Garden or any magical mini scene. 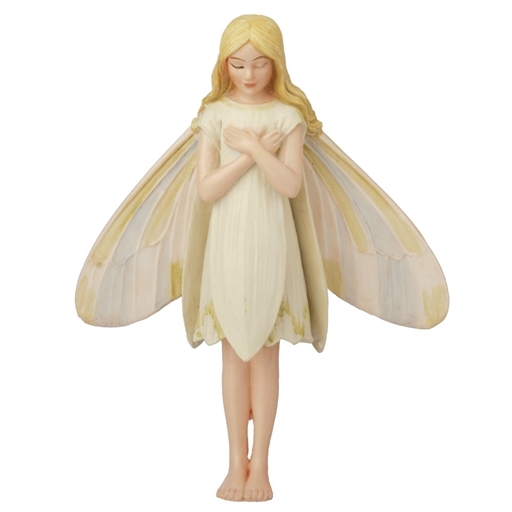 The illustrations that inspired this ornament Flower Fairy was created by Cicely Mary Barker, and have brought joy to children and adults alike for many years. This hand-painted polystone resin figure work well with 1/12 scale accessories. It can pose in the soil or floral arrangements with the aid of the included wire pick, or hang from a hidden brass eyelet as if in flight.